In December I published a post about the Death of the Breaststroke Pullout (here) right after FINA changed the SW 7.1 rule. While the title was intentionally provocative, my feeling was that the breaststroke pullout was about to change in a big way. Almost four months later I can honestly say that it kinda, sorta has changed – for some swimmers. In the men’s breaststroke races we’re starting to see more of a distinct separation of the dolphin kick and the pullout. This video of Andrew Seliskar of the US doing a 1:51 for 200 yard breaststroke in March very clearly shows the incredible distance and speed of this split pullout system. However, relative few swimmers are using this. In fact, I’ve spent the last few days looking at as many videos as I could of recent top-level breaststroke and 400 IMs races, including the ongoing Canadian National Team trials. In general, far more male swimmers are using split kick and pullouts than female swimmers. Here are my rough observations. Men (200 BR and 400 IM): A little less than half the swimmers clearly split the kick and pullout. The underwater phase generally ranged from 8-10m off a pushoff. The longest I saw was Abraham McLeod at the Canadian Trials go a full 18m off the dive, and 12-13m off a pushoff. Interestingly he used a slow dolphin kick, quite different than most of the other swimmers, but without any apparent loss of speed. Women (200 BR): The majority of women did a combined kick and pullout, or a kick and immediate pullout. Probably less than 25% clearly split the two. The underwater phase was typically 7-9m off a pushoff. Women (400 IM): This was the surprise for me. Very few swimmers separated the kick and pullout, and in fact many didn’t do the dolphin kick at all. The underwater phase was as little as 5.5m for three different women, and this is at serious senior competitions. Most of them actually had to rush to get the pullout finished before they surfaced to breathe. The longest underwater phase that I saw was barely 8m. It’s this last point that has me wondering. Any good senior swimmer can push off the wall and go 6-7m pretty quickly just on a streamline. 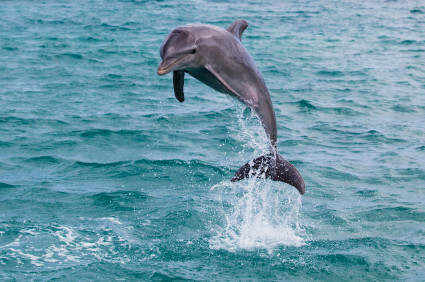 Add a single dophin kick and a 7m underwater phase should be fast, take very little energy, and get the swimmer up quickly to get that oxygen. This HAS to be better than a rushed pullout that we often see in 400 IMs. If we recall Ye Shiwen won the 400 IM in London with horrible turns (see the race here). And her breaststroke turns involved no kick AND no pullout. I suspect her thinking was that she needed the oxygen more than the distance. I think we can look forwards to a gradual move away from the old pull then kick underwater system, and move towards either a kick then pull method, or a kick only method depending on the circumstances. In any case, it’s certainly made watching breaststroke more interesting. We’ve gone to a streamline, full dolphin kick, slight streamline, then one underwater breaststroke cycle. No full pull down. The underwater distances are surprisingly similar. The breakout speed is consistently faster with no pull down, because the swimmers no longer “float” to the surface. And we found their 15yd times to be much quicker. Some swimmers feel better doing a full pull down on their dives, because of the greater speed. The distance breastrokers and IMers immediately liked the new turns. They didn’t feel “stuck” under water. And could better adjust their breaststroke breakouts to the circumstances of each race. I personally believe we should allow breastrokers 15m to do what they want underwater, just like the other strokes. I agree that since the rule change in December, there has been quite a few evolutions of the underwater. We immediately tested and found that just a dolphin kick was faster for most, as well as popped them up earlier. But then as we played with it we started doing the dolphin kick, wait 1.0-1.5 seconds and then a full pull out. But that only worked for 50-100 breaststroke. For 200 BR and the IMs we had then do different things. I’m excited to try your replacement of the full pull out with a breaststroke cycle. We haven’t tried that yet. I’m still noticing high level 400 IMers doing full pull outs and suffering because of it. I guess old habits can be hard to break. Thanks for the comment Ali. Now that some time has passed, the majority of elite BRers have gone to the dolphin kick, then pullout. And you’re right, they can now do the pullout without even a hint of a dolphin kick. In fact, I’m really impressed how the multiple dolphin kicks present in the last 3 Olympics have basically disappeared. So far in Rio, I’ve only seen two swimmers do two dolphin kicks, and it seems they have to sneak that first one in immediately upon entering the water. Since they’re already going very fast, that extra dolphin kick is probably worth very little, if any, extra speed. As far as turning this into fly, BR is certainly moving towards fly body motions, but its still well within the distinct definition of BR. And the present adherence to rules is a huge improvement over the previous wild wild west show.